Whether you suffer from allergies, an occasional cold, or a more serious health condition, poor respiratory health can seriously impact your overall quality of life. 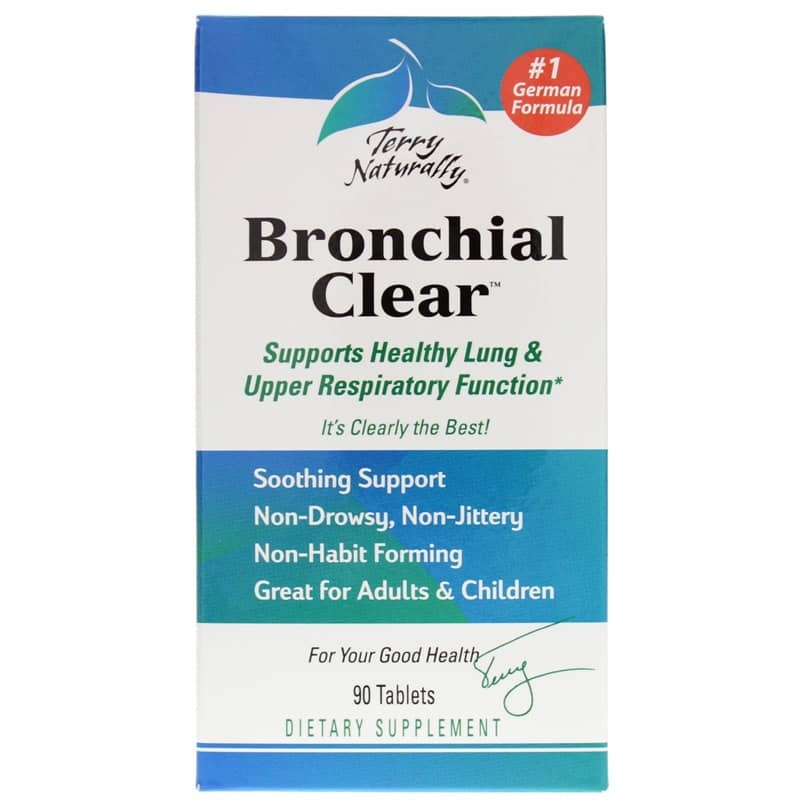 Get back to enjoying life with natural respiratory support from Bronchial Clear by Terry Naturally. 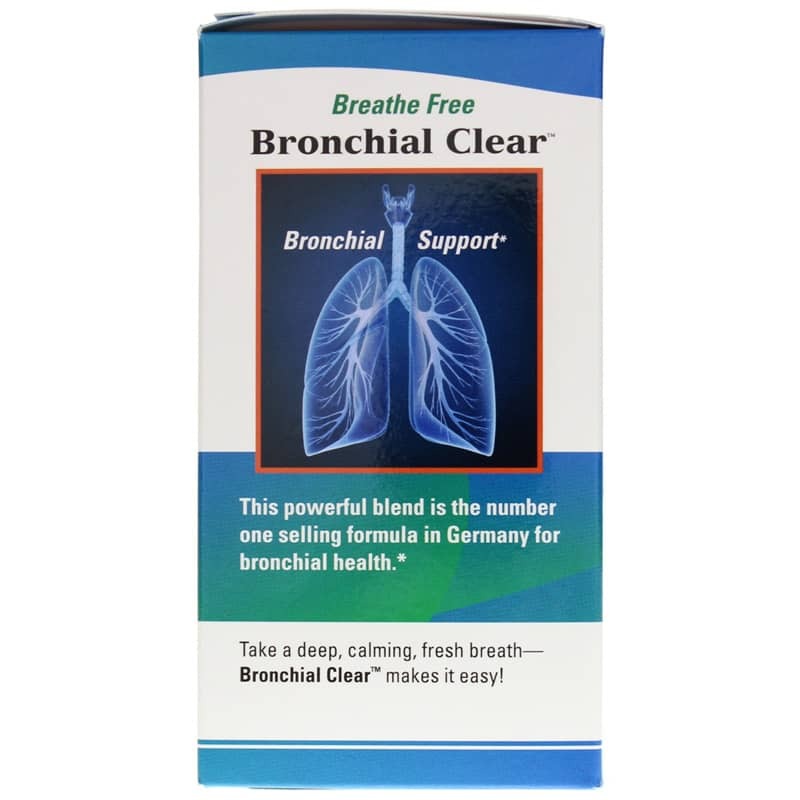 Bronchial Clear is an herbal supplement featuring a synergistic blend of thyme and ivy extracts to support upper respiratory and lung health. 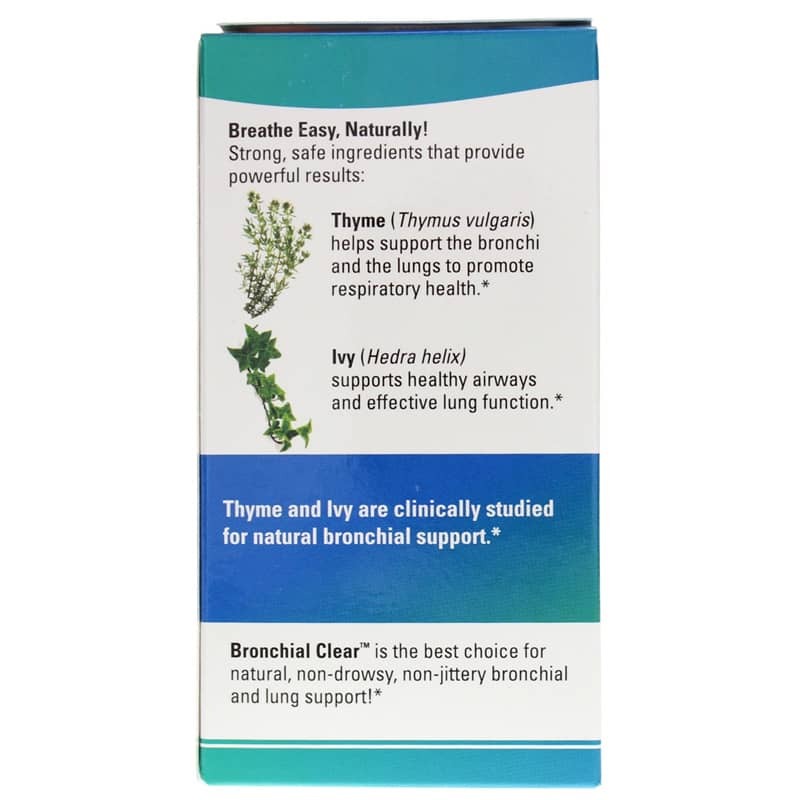 Thyme may have natural antispasmodic effects that may help relax smooth muscle tissues, helping to calm the respiratory system, allowing you to breathe easier during flare-ups or when coming into contact with irritants. In addition, thyme may have antioxidant compounds that may offer protection against free radical damage for long-term lung health. Climbing ivy has similar antispasmodic qualities and helps to calm swelling in membranes lining breathing passages, providing bronchial and lung support for healthy airways. Both thyme and ivy have an approved monograph for lung and respiratory health from the German Commission E.
Soothe bronchial tissues naturally. Order Bronchial Clear. Other Ingredients: gum arabic, microcrystalline cellulose, croscarmellose sodium, maltodextrin, stearic acid, silicon dioxide, magnesium stearate, glaze, hypromellose, glycerin. Adults: 1 tablet three times daily, or as needed. 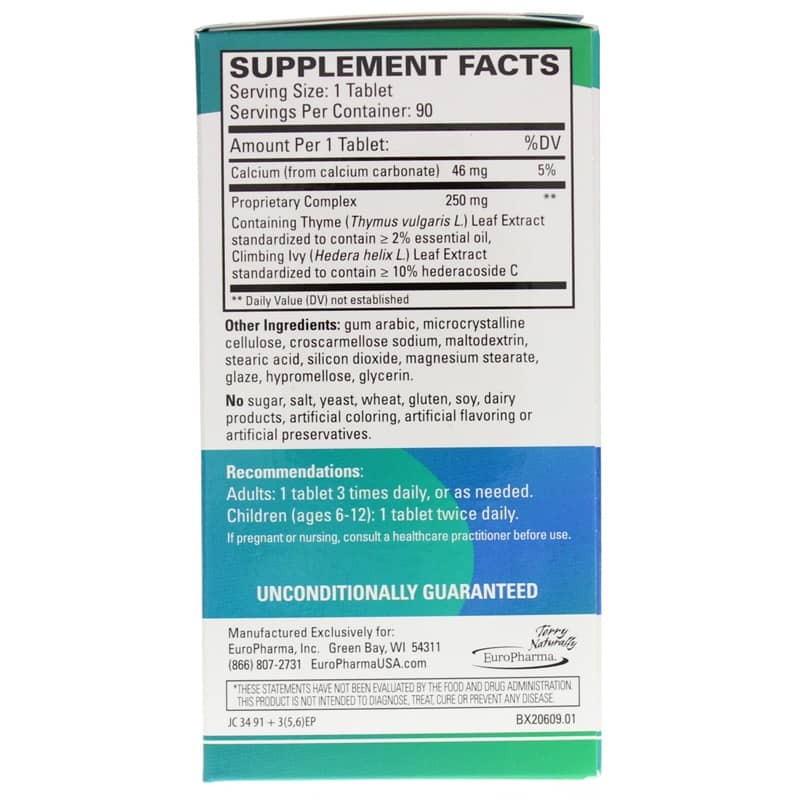 Children (ages 6-12): 1 tablet twice daily. I have a more restful night and breathe better. I have used this product for years when occasionally my allergies get bad enough to cause bronchial coughs. Within a few minutes, I am clear and not coughing. My daughter introduced this product to me.<br>And I will keep this product in stock always.<br>Works fast, and I love that it's organic.